The agency remains tragically defiant about the "I Sea" app controversy. Perhaps other companies can learn from its failures. 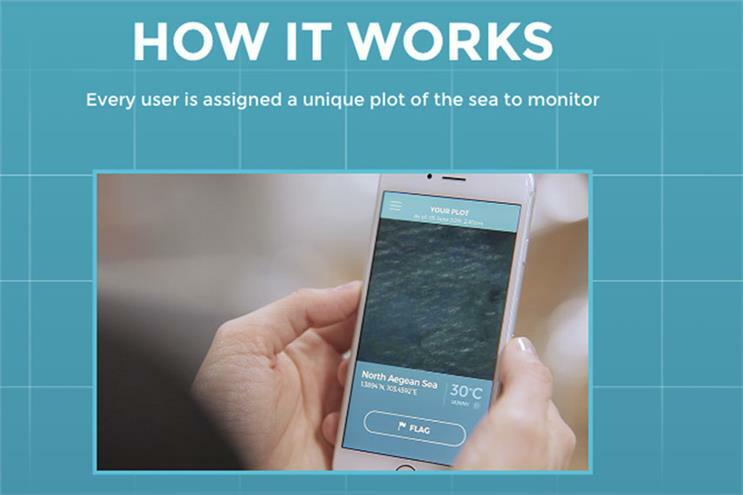 The controversy over Grey Group's "I Sea" app has seemingly ended with Grey announcing it will give back the bronze Cannes Lion it won despite the app being questioned, mocked, pulled from the App Store and disowned by the NGO it was allegedly made to help. So clearly, the agency finally took a hard look at itself after receiving so much criticism, found some humility and admitted at least some level of fault. That's great news. "During Cannes we said the app was real and its creator, Grey for Good in Singapore, is a highly respected philanthropic unit that has helped numerous non-profit organisations. Moreover, Grey is one of the most creatively awarded agencies in the world with the highest ethical standards. We won over 90 Cannes Lions this year alone so there is no need for scam projects. However, given the unwarranted, unfair, unrelenting attacks by unnamed bloggers, we are putting an end to this and returning the Bronze Lion so there is not even the hint of impropriety or a question of our integrity. The saying no good deed goes unpunished is apt in this case." Unwarranted, unfair, unrelenting attacks? No good deed goes unpunished? The mind reels. We've seen lots of brands in trouble over the years, and we've seen some horrible crisis management, but Grey's sanctimonious, argumentative, childish reactions throughout this story may take the cake. It's truly the proverbial textbook case of how not to manage such a situation. Surely somewhere in the vast WPP universe of companies there is some sort of PR firm or crisis-management expert who could have advised Grey on how it might defuse this situation? But apparently, the agency is either too proud to listen or too stupid to ask. Your claims and your work are going to be examined, often by really smart people with specific expertise. Some of them might have axes to grind, or be unreasonable, or simply be wrong. But when a consensus from multiple, credible sources emerges, as it quickly did here, the 'wisdom of the crowd' comes into play and there is usually at least a kernel of truth. In any case, digging in, spewing invective at those who are stating facts, playing the victim and denying all fault may have worked many years ago, but does not today. It only makes matters worse. Smart companies make humble noises, thank the critics, and promise to examine the situation while hoping the criticism will blow over. Truly smart companies actually examine the criticism in a sober light, search their souls, issue sincere apologies for whatever they did wrong and promise to do better. And then—here's the magic part—the world forgets about it! With its obstinate and fighty reactions (here's a particularly painful example), Grey has only prolonged discussion of this issue long after it should have been put to rest. Worse, by defending work that by its own admission didn't actually help any refugees, Grey has managed to make its name synonymous with scam and with winning awards "off the back" of genuine human suffering, as Ali Bullock put it in his blistering open letter yesterday. The agency can continue arguing that Grey for Good is a "highly respected philanthropic unit" until it's blue in the face, but its actions have ensured the erosion of any respect that actually did exist. The agency can continue to assert that it's committed to the "highest ethical standards", but its stance in this case has done nothing except make people question those standards. And the agency can go on maintaining that there is "not even the hint of impropriety" or a "question of [its] integrity", but sadly it's far too late for those words to have any impact now. Matthew Miller is Campaign Asia-Pacific's online editor. This article was first published on campaignasia.com.